Thomas Legge lives in Brussels, where he works on EU climate and energy policy. He writes here in a personal capacity. There has been a fair amount of anger at the plans to move the Seanad – the upper house of the Oireachtas, Ireland’s parliament – into a wing of the National Museum that is normally used for talks and education displays. Although the move is temporary, competition between the Oireachtas and the museums for space is an old story. But it’s not just a problem of limited space: I think that the basic functions of the institutions are irreconcilable, and that we should consider moving the Oireachtas to another location entirely. Many people may be loath to consider moving the national parliament out of its only home since independence. But the Seanad kerfuffle is just the latest incident to highlight the unsuitability of situating a parliament in the midst of a series of cultural buildings. Before it became the seat of parliament, Leinster House was used by the Royal Dublin Society (RDS) — in fact, the Dáil Chamber is in the old RDS lecture hall. The RDS was at the centre of a rich ecosystem of cultural buildings that are in most cases still there. The National Museum, the National Library, the National Gallery and the Natural History Museum (the “Dead Zoo”) are the most prominent occupants of the block fronted by Kildare Street and Merrion Square. There is also the Office of the Chief Herald, the Royal College of Physicians, the Alliance Française (housed in the wonderful old clubhouse of the Kildare Street Club, with monkeys playing billiards on the base of its window columns), and many beautiful, although sometimes dilapidated, houses from the most glorious days of Dublin’s Georgian past. On the other side of the block, the imposing Government Buildings on Merrion Street occupy the former Royal College of Science for Ireland (later absorbed into University College Dublin). Moving the Dáil and Seanad into Leinster House was supposed to be a temporary arrangement. The newly independent state had its eye on the Royal Hospital Kilmainham, but that building was still occupied by the British Army. Under pressure to open the new parliament in December 1922, the government decided to hire the main RDS lecture theatre attached to Leinster House for use as a temporary Dáil chamber. The arrangement became permanent and the government bought the building outright from the RDS in 1924. Today, the Oireachtas is shoehorned into a space that isn’t suitable for it, and Leinster House is groaning under the weight. 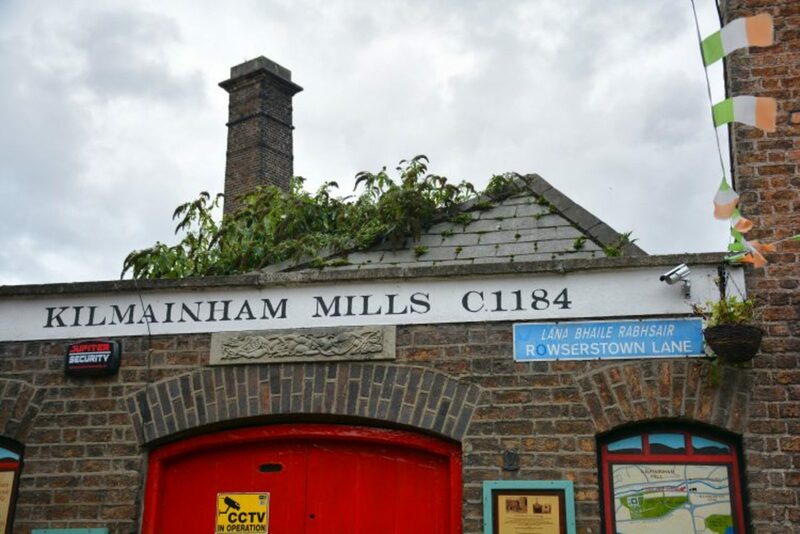 A 2008 report for the Ceann Comhairle warned that overuse and substandard renovations over the years could damage the building “beyond habitable use”. The remedial works to the Seanad chamber are just the latest in a line of sticking-plaster repairs. Its natural needs for office space cannot easily be met without further expansion at the expense of the museums. Public access is difficult. Demand for car parking – exacerbated by the perk of free parking for life for all TDs and Senators, regardless of how long they ever served – is met by surface and underground car parks to the front and rear of the building. The presence of the Oireachtas has a depressing impact on the surrounding quarter. The ethos of a museum implies education and public access, at odds with the perceived security requirements of the operations of state. 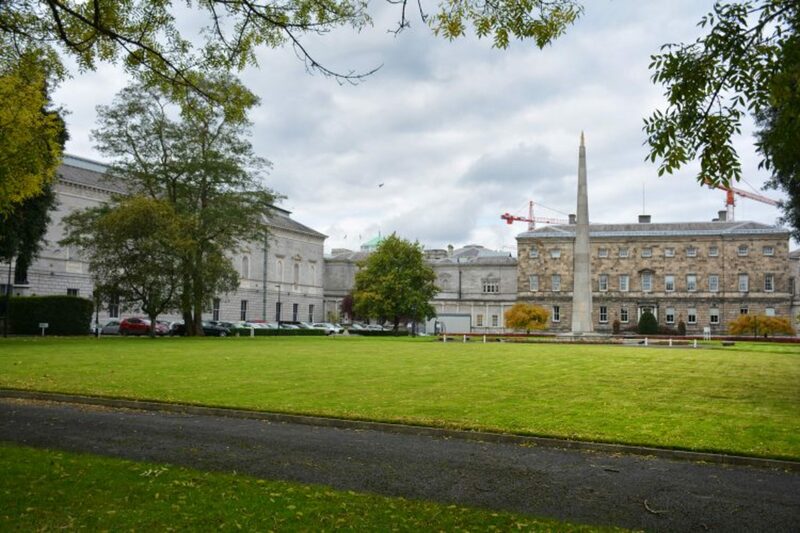 The museum and the library used to face each other across a courtyard in front of Leinster House, with a circular lawn with a pebble perimeter where scholars could meet and exchange ideas. Now they are penned in behind four-metre fences facing a tarmacked space that is used for car parking and the occasional press conference. The original entrance to the Natural History Museum from Kildare Street was closed off by the demolition of a set of lovely Georgian houses in 1957 and the erection of a tall wall to the rear of the Government Buildings, leaving Kildare Place today as a sterile, empty square with only a squadron of dismal London plane trees to keep the statue of Archbishop William Conyngham company. The government buildings between Kildare Street and Merrion Square form an impermeable “super block” that forces pedestrians to take long detours. 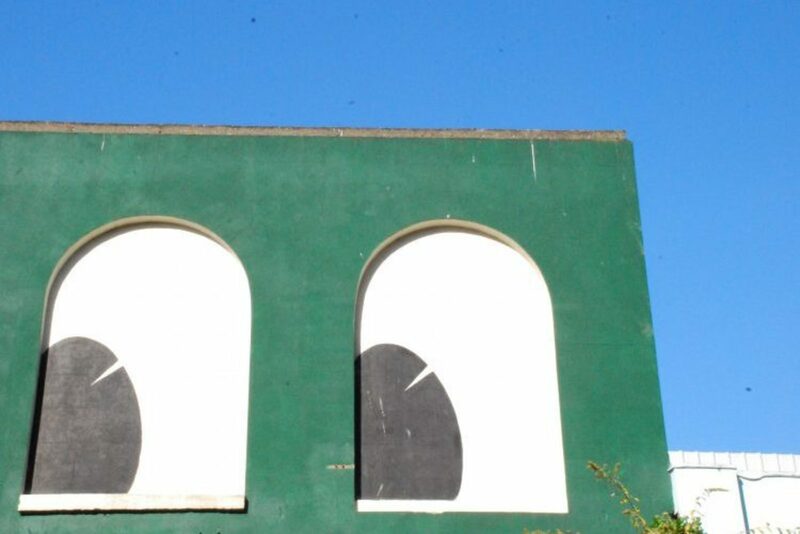 A fascinating thread on archiseek.com from 2008, in response to the report about Leinster House’s decrepitude, reveals a lively discussion among architects and historians about how the Leinster House site could be improved. Ideas range from building on the large empty lawn to the rear of Leinster House on Merrion Square, to resurrecting the idea of the Royal Hospital in Kilmainham; from creating a new purpose-built building elsewhere in the city or even outside Dublin, to returning the parliament to its original home in College Green, the world’s first purpose-built parliamentary building. (Why Bank of Ireland was allowed to retain ownership of this building after the state bailed it out during the recent financial crisis is worth an article on its own.) The ideas are all worth wider discussion. 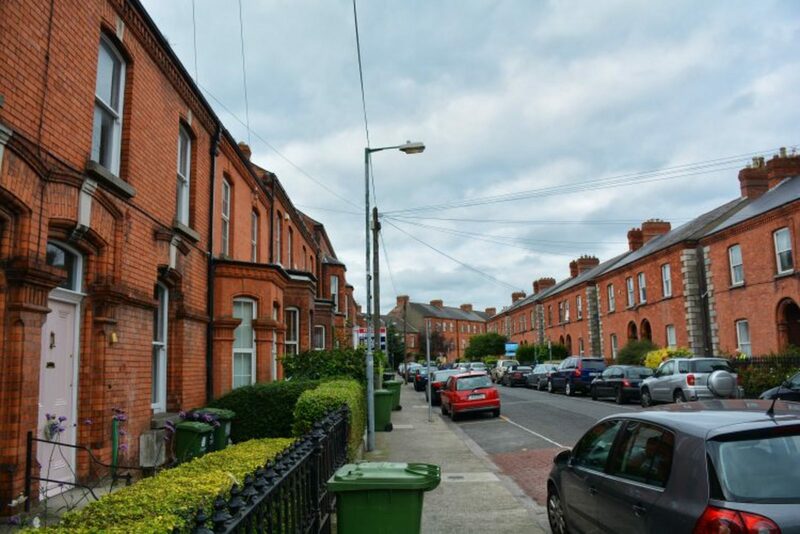 Moving the Oireachtas to another site would transform Kildare Street. The museums could expand organically into Leinster House. The Dáil Chamber could once again become a public lecture space. New pedestrian and bicycle routes could allow people to move through the complex, relieving pressure on the surrounding streets. The whole complex could become a museum quarter of international importance. At the same time, moving the Oireachtas would be a chance to reconsider what kind of national parliament we want. One idea that I haven’t seen explored is to move the Oireachtas to a bespoke new building on the north quays. There are plans for a new railway station at Spencer Dock as part of the now-dormant DART Underground project, which would finally knit together the different railway lines that lead to Dublin into an integrated transport system. Integrating a parliament building into that development, alongside the Convention Centre and the Calatrava-designed Samuel Beckett Bridge, would be a bold statement of Ireland’s identity as a democratic, self-confident and accessible country. A docklands location could deliver all the amenities of a modern parliament – chambers for plenary and committee debate, ample office space, and openness to the public – in a centrally accessible location. By placing the building at or near a transport hub, parliamentarians and their staff would be functionally closer to the rest of the country, and it would make it easier for people from all over the country to visit the seat of government. Moreover, the new building could set an example by not providing any spaces for private car parking; forcing TDs to rely on public transport could be a powerful incentive to improve services for the rest of us. 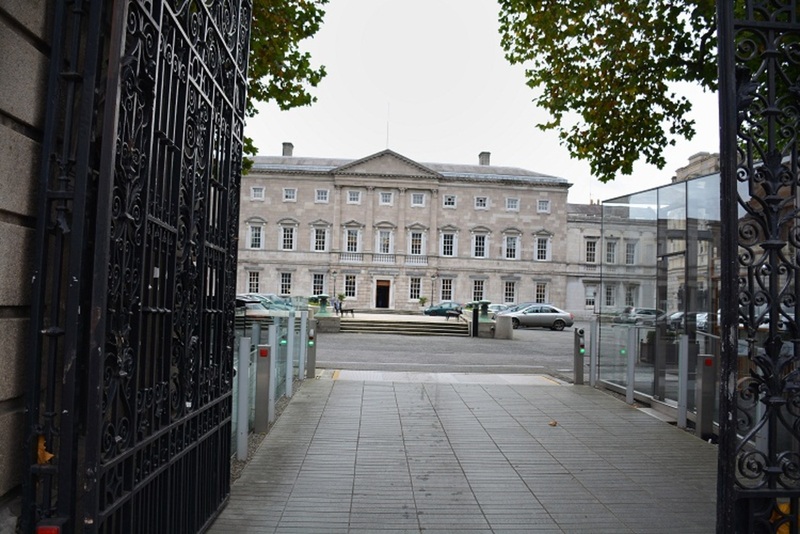 But even if the Oireachtas is to stay where it is for now, Leinster House would be greatly improved by removing the car parking and railings and allowing public access through and around the building. Thomas Legge: Thomas Legge lives in Brussels, where he works on EU climate and energy policy. He writes here in a personal capacity. They should move it into Hawkins House. PLEASE move them to the intended original location, the RHK / IMMA – and move IMMA into town where it belongs. Tomorrow if possible. 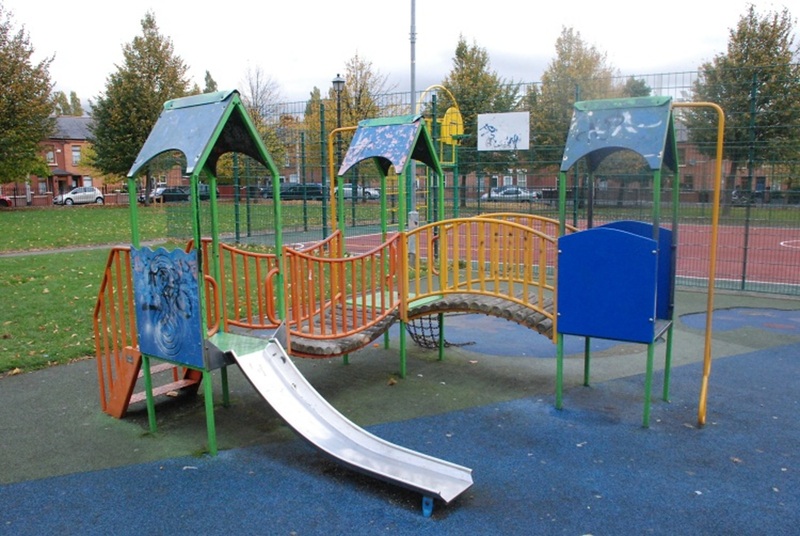 I agree – they should be swapping IMMA in Kilmainham with Government Buildings – it would turn the whole Merrion Square/Kildare Street area into a cultural quarter to be proud of, and they can open up the car parks and gates to be an open plaza at the front and back. It would be brilliant for the city. Finally the Museums in the area would be able to put on new changing exhibitions rather than being stuck in the mud as they currently are, due to limited space. In the near term, perhaps a handful of TDs and Senators might rally around and put together a proposal on parking, and seek to gain the support of their colleagues for it. 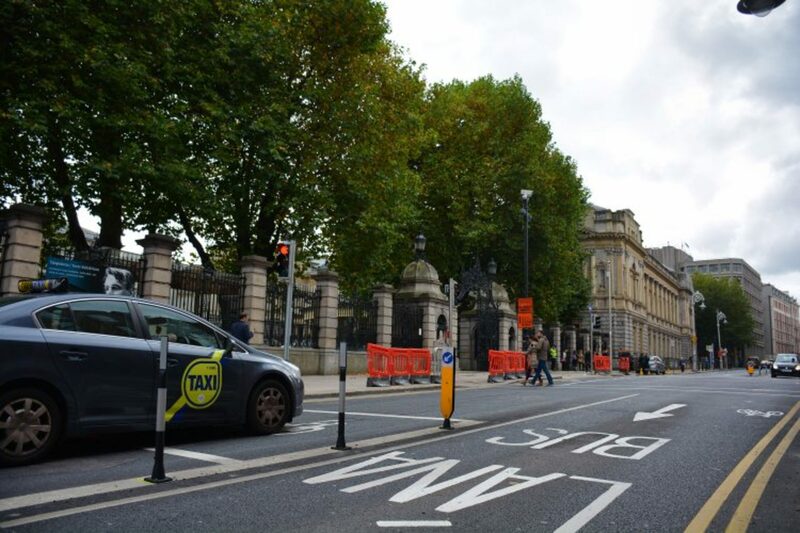 If they went with something like: after from the next election, only serving TDs &amp; Senators are permitted to park at Leinster House, and have to pay a daily fee of €3 – €5 euro to do so, they might get enough support to get it through. Moving the Dáil and Seanad–or at least thinking seriously about it–is an excellent idea. I offer a couple of considerations… The area around Leinster House and Government buildings creates a de facto “political quarter”. Although cultural use may be hampered, many embassies and other buildings, like the EU representation and various associations (and lobbyists), are based in that area. Moving the Dáil would affect that dynamic, and not necessarily in a way that is good for democracy. We want our elected representatives to be able to quickly get from meeting to meeting within the political zone. And we don’t want to move them too far away from where the Government is operating. Another thing to think about would be to separate the Dáil and Seanad. Now that the people have voted not to abolish the Seanad, why not put it in its own building–like the French Senate–in order for it to gain a stronger identity. The Seanad could become an assembly more clearly dedicated to longer-term thinking and bipartisan issues. It would be great to have a senate that led public debates on major issues like refugees, climate change and meeting the needs of our ageing population.